The final rule released by CMS for most significant legislative change to Medicare, the Medicare Access and CHIP reauthorization act of 2015 (MACRA) integrates value programs and Medicare quality to establish a combined performance score. Every year a performance threshold will be placed. If the average score of previous year is equal to the performance threshold, Medicare Part B payment will not suffer. A negative payment adjustment is experienced, if someone falls below the threshold. On the contrary, high performers can receive significant bonuses. With the announcement of new quality payment program, the requirement for specialty and oncology physicians to know the value based reimbursement system rose exponentially. We have compiled the list of beneficial ways to helps oncology and specialty providers- from rheumatology to ophthalmology to succeed in the new model. According to the final rule, a MIPS EC (Eligible Clinician) is a physician, nurse practitioner, physician assistant or a certified registered nurse anesthetist. This rule raised threshold for MIPS participation, leaving additional small practices or small Medicare patient volumes. Individual or groups are exempt if they treat 100 or fewer Medicare patients on annual basis or bill less than $30,000 for Medicare Part B. For most community, Medicare patient population data should be accessible easily, including number of Medicare patients they examined and total Part B claims submitted for payment. Physicians will automatically gets excluded from MIPS when they don’t meet the threshold. On the other hand, if individual or group exceeds or meets the threshold, they are included in MIPS automatically. Physicians (including osteopathy doctors, osteopathic practitioners, podiatric medicine, dental, doctors of medicine, chiropractors and optometry doctors). If the clinicians who have billed more than $30,000 in Part B in the Medicare allowable charges. Clinicians who have billed Medicare either $30,000 or less than that. Physicians who have rolled for the first time in Medicare. Clinicians who are not a part of MIPS eligible speciality. Clinicians who have offered care for either 100 Medicare patients or less. Clinicians who are a part of Advanced APM and either a Partial QP or Qualifying APM Participant. You need to submit data to MIPS, in case you have certain percentage of Part B payments through Advanced APM or see a certain percentage of patients through an advanced APM. CMS will take 3 snapshots during QPP performance period to see all the clinical participants in Advanced APM and to check whether they have met the threshold to qualify APM participants (QPs). You can become a partial QP where you have participated in Advanced APMs but don’t meet the threshold. 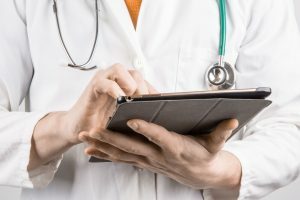 Numerous industry surveys have discovered that there is a lack of provider awareness on MACRA, APMs, the Quality Payment Program and MIPS despite the fact they affect and are mandatory for physicians reimbursement. Make sure to reinforce MIPS as mandatory performance based reimbursement system which pays providers on the basis of treatment they offer to their patients. Highlight the point that ECs have to be aware of the way they treat Medicare patients for the purpose of reporting and collecting their required performance measures to the CMS. Elaborate them on the scoring areas under MIPS: improvement activities, quality and advancing care information. In 2018, cost will be included as fourth performance area. Practice will collect, select and report measures in the first three categories while cost measures will be extracted from adjusted Medicare claims by CMS. Many community practices are well trained in collecting and reporting performance measures. Practices can be at different places in terms of their reporting capabilities. CMS has created four paths into the new mandatory program. Submit a minimum amount of 2017 information to Medicare. For instance, submit either one improvement quality or quality measures to avoid a negative payment adjustment. One can earn small positive payment adjustment or avoid negative payment by submitting for partial year data to Medicare. A moderate positive payment adjustment can be earned by submitting one complete year. Participate in two sided risk model to meet required percentage of patients and payments in the APM. Practice will receive 5% payment adjustment in 2019 by taking part in an advanced APM. Practices that chooses not to take part at all in 2017 will receive 4% payment adjustment in the year 2019. Despite the fact that some experts advocate to participate in as early as possible, the determining factor should be preparedness. Find out where your practice is ready to participate fully in this program. If your practice is not ready for the complete year than you can submitting for partial year, this would give you enough time to make changes and to achieve success in the long term. Another advantage of not just jumping into participation is the fact that MIPS is evolving. The future requirements can be shaped with the previous experiences of participating practices. Practices which opt for less demanding path may reap benefits by not wasting resources on demands that may disappear or transform. The final rule demands most oncologists physicians to select, collect and report performance measures in Advancing Care Information and Quality Categories along with four improvement activities. The measures should collectively ad to maximum score of 100. Practices have to pick six quality measure that count for 60% of their final score. They can pick four improvement activities which comprises 15% of their final score. And finally, practices can choose nine advancing carte information measures that will make upto 25% of the final score. Eliminate measures which are not applicable. For example, what’s right for orthopedics may not be right for oncology physicians. Take into consideration all the improvement and quality activity measures where your practice performs well. Examine measures practices reported under previous program in order to avoid unnecessary compliance burden. Select measures that can benefit practice and patient in terms of financial and clinical outcomes. The last step is to determine whether practice’s EHR system is capable of collecting and reporting of the selected performance measures. This makes it crucial for practices to see whether their partners are capable of performing these functions. Oncology practices who follow these practices steps should feel prepared to make right decisions for their patient and practices as Medicare launches new era in value based reimbursement. In the beginning of 2018, CMS will begin assessing provider’s cost as per part of MIPS. Keeping the four ways into consideration can immensely help oncology practices to prepare for this change.